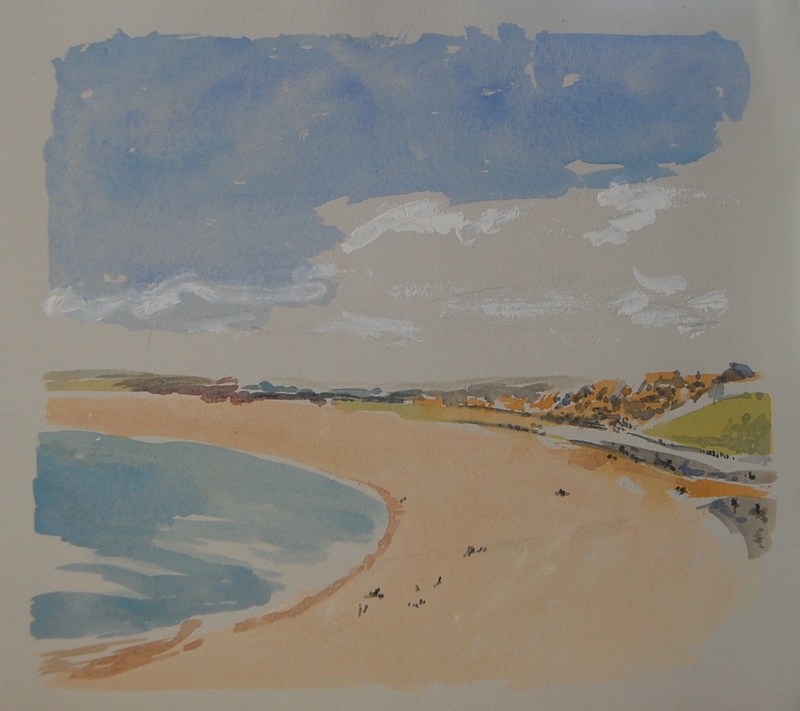 A few days of glorious spring weather allowed me to get a little painting done during a visit to the UK in 2012. 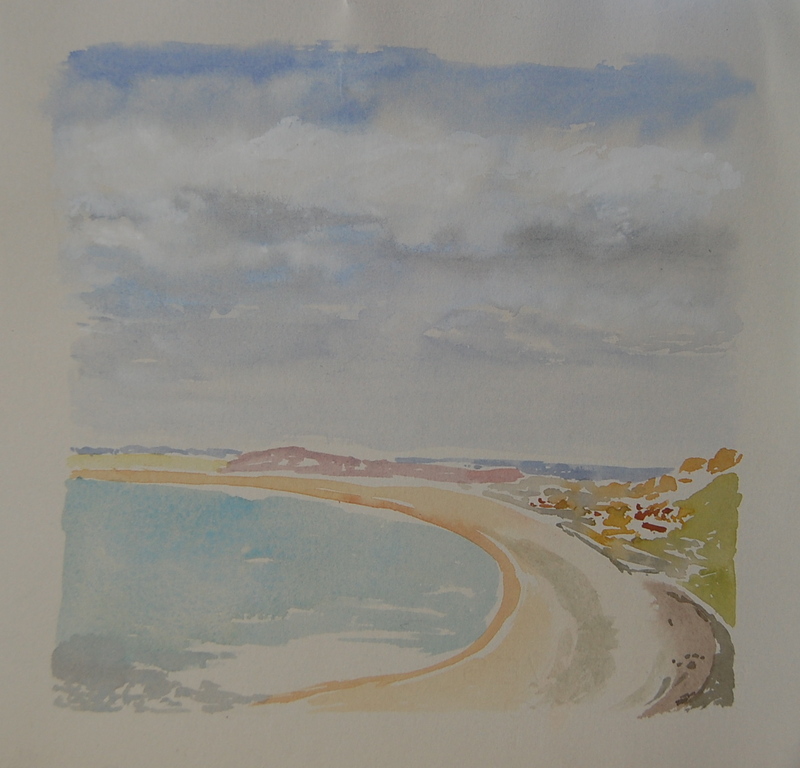 These watercolor sketches were done on grey watercolor paper, from a point at the very end of Chesil Beach, now a UNESCO World Heritage SIte. I climbed up to an area where beach huts dot the hillside, so that I could watch the divers on the beach and peruse the whole amazing vista of this incredible pebble beach. When people move on the beach the large pebbles clatter and crunch and an echo of these movements resounds and combines with the regular lashing of the waves to make a unique, almost symphonic background soundtrack. 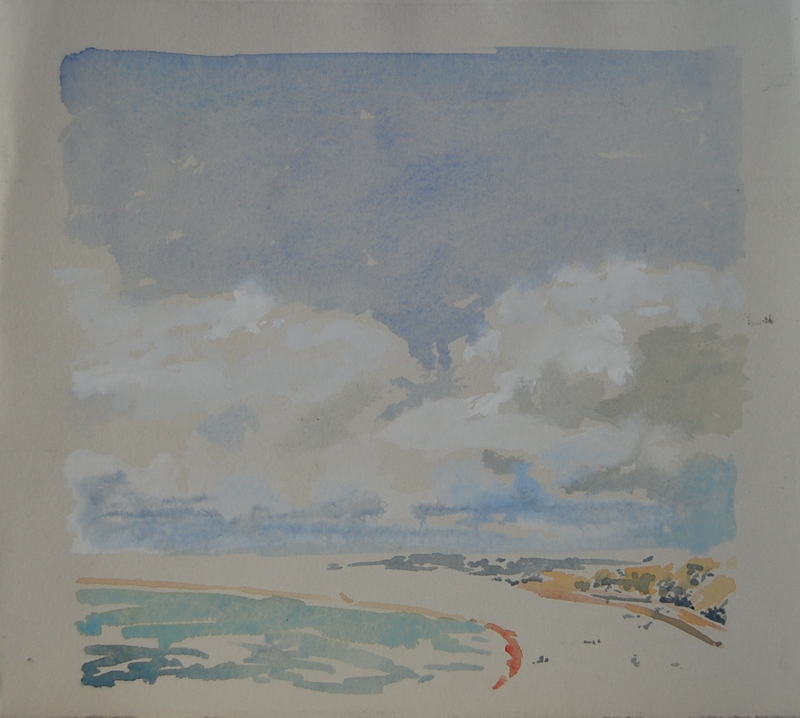 On my second painting day, I walked from Portland to Weymouth along the Rodway Trail, a busy footpath along the old railway link that transported the famous Portland stone to Weymouth and beyond. The town was busy preparing for its role in the summer Olympics as the venue for sailing and other water sports, was decked out with union jacks everywhere and busy with tourists. 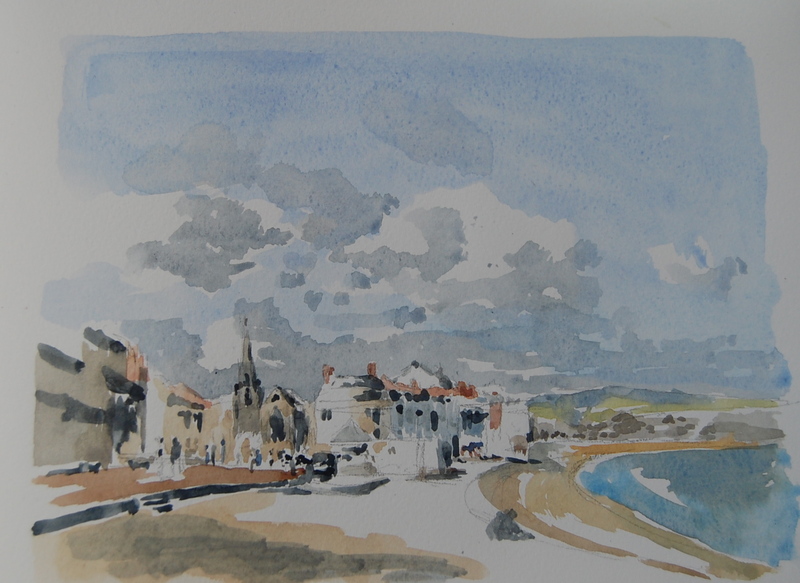 The sketch below was done at the eastern end of the esplanade, looking towards St John’s Church. The banks of clouds in the distance were moving quickly and the late afternoon light softened and warmed everything. Lovely, Fran! Seeing these was such a nice way to start my Saturday morning. Hey there, many thanks. Just can’t get enough of that grey paper – good for mist and fog so suitable here and there. These paintings are really terrific. So light, yet so evocative. Thanks for sharing, you made my day! Many thanks for your comments, your feedback is always very much appreciated.